Our company BHUWAL CABLES is proficient in exporting and manufacturing excellent quality Multi Core Cables. These cables are manufactured by experts using advanced tools and machineries and best quality resources. The experts supervise these cables before exporting to check its quality. Our clients are provided with these cables at comprehensive rates to meet their requirements within the mentioned time period. We BHUWAL CABLES are reckoned amongst the primary exporters and manufacturers of PTFE Insulated Wires. Our manufacturing unit is specialized in producing these insulated wires using advanced techniques and good quality resources. The insulated wires are analysed to prior to the exporting process to certify its flawlessness. Our customers are offered with these insulated wires at market leading prices within their mentioned deadline along with personalized services. We are engaged in providing our clients with variety of PTFE Cables, which are manufactured in compliance with prevailing industrial standards. Moreover, these cables are highly appreciated for its outstanding Mechanical & electrical properties, Also, these cables are heat resistant, which make these wires applicable for an ever widening range of wiring applications. 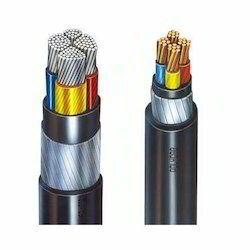 Additionally, our clients can avail these cables in wide range of technical specifications so as to fit clients need . Our company BHUWAL CABLES is expert in exporting and manufacturing best quality PTFE Insulated Silver Plated Copper Wires. The manufacturing experts use good raw materials and advanced tools and machineries to produce these copper wires. The copper wires are supervised before exporting to certify its quality. The customers are served with these copper wires at reasonable rates to meet their requirements. Inert to most chemicals & fungus. Low dia – electric constant. Tape wrapped wires have uniform insulation thickness around the central conduct as compared to the wires insulated by extrusion process. PTFE is a higher grade insulating polymer as compared to other fluorocarbons being used in extrusion process. Resistance to attack by lubricants, hydraulic fluids, aircraft or rocket fuel, atmospheric conditions & virtually all chemicals. PTFE wires are made by wrapping tape over silver or nickle conductor & cured in a sintering oven. Wrapping provides better uniformity & concentricity then extruded cables. Ptfe has very good insulating properties & excellent thermal stability. 7/40 awg to 133/23 awg. Multi core cable also available with fg. Yarn, mica tapes S. S. Braiding. 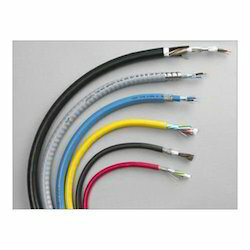 These PTFE Shielded Cables are manufactured from quality material so that it can meet international quality standard. These PTFE cables are very much in demand in the market because of its marvelous features like light weight, excellent conductivity, low resistance, excellent insulator coating and light weight. These PTFE cables are widely used in numerous applications of electrical and automobile industries. PTFE Shielded cables are one of the supreme quality cables which are made up of an excellent quality polymer named as polytetrafluoroethylene. We are manufacturing, supplying and exporting these cables on a much wider extent in the market. We are best at exporting and manufacturing superiority PTFE Wires. Our manufacturing team is expert in providing these wires using highly advanced technology machineries and best quality resources. These wires prior to exporting are supervised to ensure its superiority. Our potential customers can purchase these wires at very reasonable rates with personalized services provided within their mentioned time limit. Our company BHUWAL CABLES is the chief exporter and manufacturer of good quality PTFE Multicore Twisted Cables. The manufacturing unit uses advanced technology machineries and best quality raw materials to produce these twisted cables. Our team of professionals scrutinizes the cables before exporting to guarantee its flawlessness. Our clients can avail these cables at market leading rates along with customized services within their mentioned deadline. We are the principal manufacturers and exporters of superior quality Hook Up Wires. The manufacturing unit of our company utilizes best techniques and resources to provide these wires. The exporting unit scrutinizes before the delivery to ensure flawlessness. Our clients can avail these wires at market leading prices with customized services provided within their mentioned deadline. We are the principal exporters and manufacturers of advanced quality PTFE Insulated Wires and Cables. Our manufacturing unit utilizes the finest quality machineries and tools with best raw materials to manufacture these cables and wires. Our potential customers can avail these products at very reasonable rates along with customized services. We BHUWAL CABLES manufacture PTFE High Temperature Cables are used as power cables in plants where there is high temperature environment and ordinary PVC cables can not be used such as near rotary kilns, furnaces, boilers etc. Due to the high temperature around the furnace, the electrical wiring of motors, control panels etc. near the furnace gets damaged very frequently, which compels the replacement of cables at periodic intervals leading to precious loss of productivity. This problem is greatly reduced by using High temperature PTFE insulated H.R. cables. H.R. Cables made by Tefkot Cable Company are made by using PTFE insulation which is a High Temperature insulating material having excellent electrical properties and is inert to almost all chemicals and it also does not age. These properties make it suitable to be used as power cable in industries such as steel, cement, fertilizer, chemical etc. Our company BHUWAL CABLES is the chief exporter and manufacturer of good quality PTFE Insulated Extruded Wires . The manufacturing unit uses advanced technology machineries and best quality raw materials to produce these twisted cables. Our team of professionals scrutinizes the cables before exporting to guarantee its flawlessness. Our clients can avail these cables at market leading rates along with customized services within their mentioned deadline. 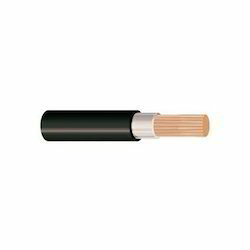 Bhuwal Cables offers PTFE cables upto 1000 V. PTFE cables are used for wire harness, Light industries, Power supply. For Steel Plants we offer cables which can withstand high temperature for Furnace, Melting shops and material handling including CRD cables. Wind Mill and TUV approved Solar Energy flexible cables that are designed to withstand to meet the harsh environmental conditions. Solar cables offered meet the requirement of gasoline and petroleum resistance and ideal cable ensuring long term photovoltaic system performance for Solar installations. Rodent Resistant Solar cables are also available. Bhuwal Cables : Resistance to fire is the property of a material or assembly to withstand fire or give protection from it and it is measured as the time (minutes) a product can maintain a level of functionality during a fire. Fire resistance may be built-in both structurally and by the correct choice and application of building materials. one specific cable family: Fire Resistant Cables. 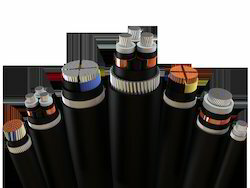 The resistance-to-fire performance of cables is indicated in terms of survival time: the times are 15, 30, 60, 90 and 120 minutes of operation in a standardized fire condition at European Level (Bhuwal Cables) and equivalent international (IEC). Local standards and customers' specs include their own requirements which are also achieved by our local or tailor-made products. 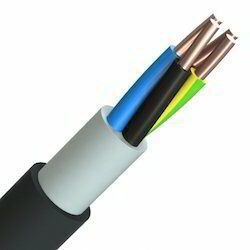 We are a leading manufacturer and supplier of XLPE Wires. We are a leading manufacturer and supplier of XLPE Wire Manufacturer . We are a leading manufacturer and supplier of XLPE Cable. We are a leading manufacturer and supplier of XLPE Motor Wire. We are a leading manufacturer and supplier of XLPE Motor Wires. We are a leading manufacturer and supplier of XLPE Single Core Wire. We are a leading manufacturer and supplier of XLPE HT Cable. 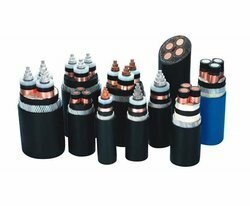 We are a leading manufacturer and supplier of XLPE Armored Cable. We are a leading manufacturer and supplier of XLPE Unarmored Cable. We are a leading manufacturer and supplier of High Temperature XLPE Wire.